Hurry over to Amazon where they have this Little Live Wrapples Skyo in stock for just $14.99! These tend to sell out fast, so if you're interested, grab one while you can! 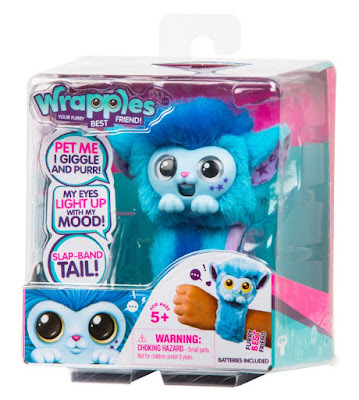 These cute Little Live Wrapples giggle and purr when you pet them, their eyes light up, and they have over 50 sounds and reactions plus their tail dual as a slap band that you can wrap around your wrist.